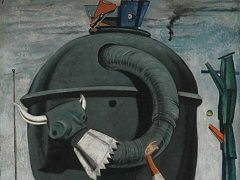 Like many of Ernst's paintings during his Paris period (1922-1941), Ubu Imperator resembles a collage in painted form. The artist's knowledge of theories by renowned psychologist Freud, familiarity with myth and extreme wit are reflected in this early painting, which is now considered proto-Surrealist due to its strange juxtapositions. 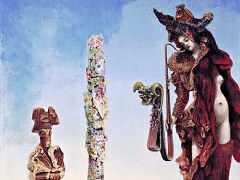 In Ubu Imperator, an anthropomorphic top dances in a vast, empty landscape. 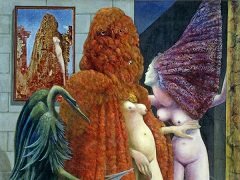 Such works captured early on the surrealist notion of estrangement and commitment to the subconscious, but also they seem surprisingly contemporary. 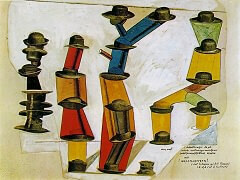 The red Ubu Imperator marked the entry of Ernst in the articulated stage of surrealism by his use of a literary narrative that was sometimes personal, sometimes political. 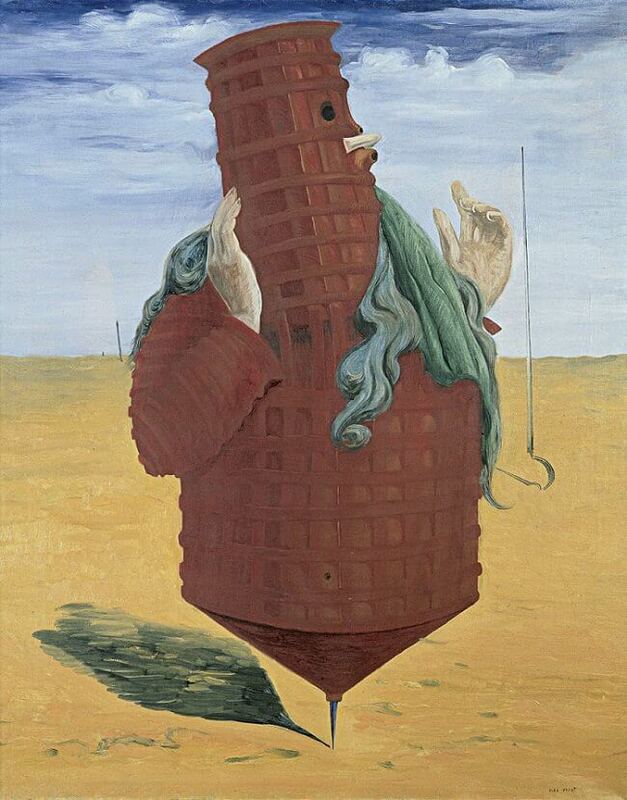 In this seminal work a spinning top, a red carcass with iron reinforcement, and human hands express an astonishing image of the Ubu Father, a grotesque symbol of authority invented by Alfred Jarry. 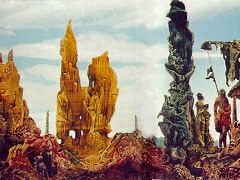 Other paintings suggest Ernst's impressions of ancient Buddhist temples (à la Angkor Wat) as inspired from his trip to Asia following the breakup of his famous ménage à trois with Gala and Paul Eluard. 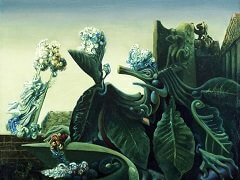 This structure and thickly overgrown plants appear in many of his engravings and grattage oil paintings.